Just go online to AMÉ AMÉ’s site: www.amerain.com and put the code TearNTan and receive 15% off your online purchase. In-store, mention my name Tear-n Tan (pronounced tearin’ tan ;)) and get a yummy sour belt. 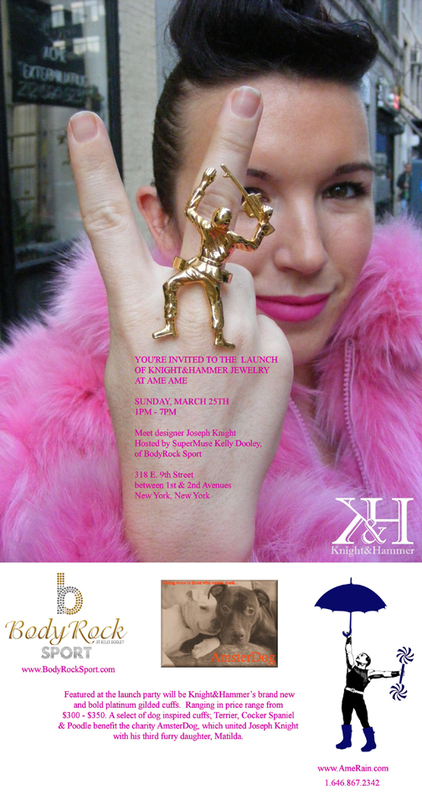 This Sunday, the store will be hosting the launch party for Knight&Hammer Jewelry from 1 PM-7PM at the 318 E. 9th Street store in Manhattan. Have fun and stay dry…and fashionable!